It is with great sadness that we inform you of the passing of PATH’s longtime supporter, former Board and Advisory Board member Mr. Aris Anagnos. Mr. Anagnos has helped impact countless lives over PATH’s 35 year history, including the championing of both PATH Headquarters and PATH Mall services and programs. Presently, we have Mr. Anagnos to thank for his influence in our progress toward the design and completion of the PATH Metro Villas project. 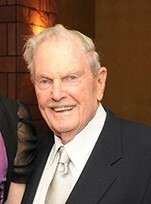 Mr. Anagnos is a longtime philanthropist who lived in Los Angeles and a prominent humanitarian throughout his life. He cared immensely about helping the underserved and his strong values embodied PATH’s mission to serve those who are homeless. He believed in endorsing people and their rights first. Mr. Anagnos celebration of life is being planned for September 2018, but details have not been finalized and will be later released by Mr. Anagnos family. Mr. Anagnos was important to PATH all these years, he was a great person and will be dearly missed.